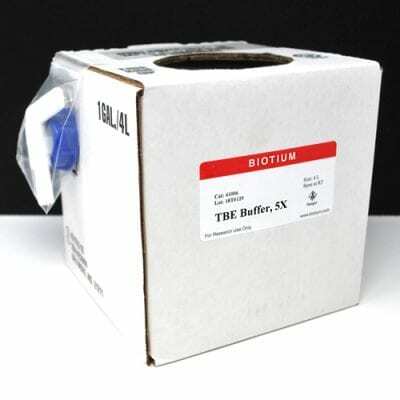 5X TBE (Tris-Borate-EDTA) is a concentrated buffer solution in deionized water. TBE is used for polyacrylamide and agarose gel electrophoresis. 1X solution: 89 mM Tris,89 mM boric acid, 2 mM EDTA. Store at room temperature.